Home burglaries happen more often than most homeowners care to admit to themselves. It can be a very jarring experience to come back home, to your safe space, and find that it has been broken into. This experience often causes many a homeowner to question their safety and security, and it fosters a deep sense of distrust for the state of things around them. Although there are many valid fears for homeowners to have, the way things play out after a home burglary will depend on how fast you act after you realize that your home has been broken into, and that you have now become a number in some of the alarming break-in statistics most homeowners overlook. Below, we will look at a basic list of emergency steps you should take after a home burglary. These steps are meant to help you stay safe, and also begin the process of restoring your home security or your apartment security. Each of these points will be explained further in the article. I advise you to take your time to read each section thoroughly so that there are no stones left unturned as you deal with the aftermath of a home burglary. Immediately after a home burglary or home break-in, the first thing you should do, as a homeowner, is to contact the authorities and alert them to what happened. It is imperative that you do this as soon as you realize your home has been broken into. If you walk into your home and get the sense that you have become a burglary victim, find a safe space where you can call the police from. Ideally, you should try your best not to touch or move anything around until the authorities arrive. I do understand that this is going to be very hard to do, especially when you walk into your home and it dawns on you that something isn’t right. However, contacting the authorities should be your prime focus and your sole priority. As I said earlier, in the best case scenario you should exit your home and call the police to alert them and let them know that someone broke into your home. The fact that you arrived home does not necessarily mean that the burglars have left. A criminal in your home increases the probability of the perpetrators being caught, and it also increases the likelihood of the crime being solved. It is imperative that you sit tight and wait for the right authorities to arrive, they usually respond very expediently, so you won’t be left frightened and alone for long. When the officers arrive, it is important that you relay any pertinent information to them. Make them aware of the security protocols that you have in place. For instance, do you have any surveillance cameras that might be able to provide security footage? If so, handing this information over to the officers will prove to be very useful and aid them in their efforts. This point specifically applies to homeowners who might be alerted to the presence of a burglar who breaks in while there is still someone at home. According to some of the burglary statistics that homeowners should know, most residential burglaries occur during the daytime when homeowners are not present. However, this does not mean that night time burglaries don’t happen, they just happen less frequently. 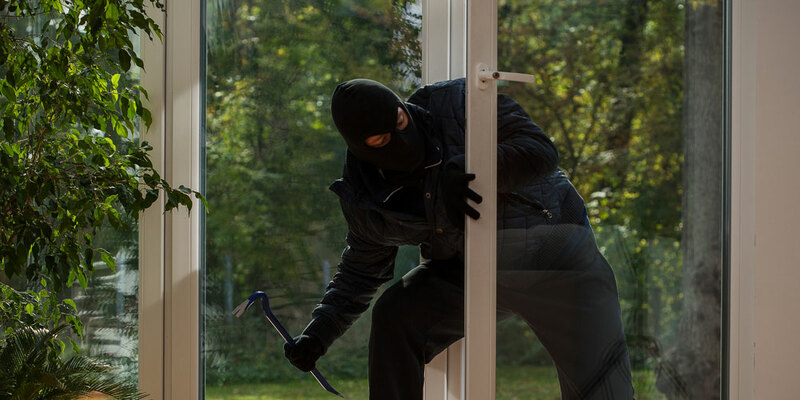 In some cases, homeowners come home after the crime itself has been committed, but in rare cases, you might be home during the break-in, or you might walk into your home and realize that there are still burglars inside. When this happens, you should immediately call the police as was discussed above, and then you should focus on finding a safe place to hide. It is not advisable for you to engage the burglars, especially if you are unsure as to their number or whether or not they are armed. Although guns can be a form of security, homeowners with firearms should not take this as an opportunity to engage in a shootout with burglars. It may or may not give you the advantage, but it is more reliable to keep yourself hidden and wait for the authorities to arrive. In extremely dangerous situations, homeowners might benefit from using improvised DIY panic rooms that keep them safe and secure during a break-in or a robbery. However, being able to utilize this measure means that you should have had the forethought to build the improvised panic room in the first place. Using a panic room will help you stay out of harm’s way until the police arrive and they are able to assist you. In this context reviewing your security protocols does not mean that you should conduct a full home security assessment in the wake of a recent break-in. Instead, it means that you should pay attention to the security protocols that you have in place and see what they can tell you about the home break-in. Any possible information at all will help give you, and the police on the scene, some insight into how the break-in occurred. In this modern age, many homeowners have invested in surveillance equipment that ranges between complex camera gear, to simple DIY security cameras. Regardless of the security mechanisms you are using, you should review your security deterrents to see what information they can provide about the burglary. Keep in mind that you will only have the luxury of doing this if you have successfully completed the first emergency tasks that were described above. It is important to finish these before you dive into seeing what your door locks or security footage might be able to tell you about the burglary. 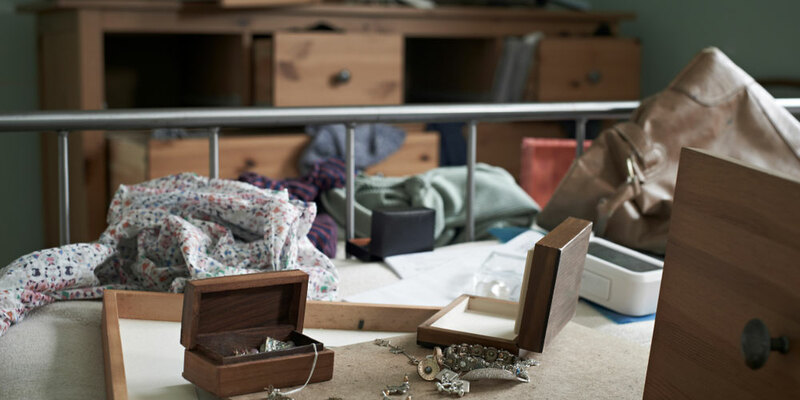 Once the authorities have arrived and made sure that you, and your home, are in the clear (meaning that there are no longer any burglars present on your property), you should start to assess the state of things and take stock of what you have. Not only does this information help homeowners get a sense of why they were targeted, but it also helps law enforcement have a better idea of the items that were stolen in the home burglary. This step is usually challenging for homeowners to handle because many of them will still be dealing with the shock of finding that their home was just broken into and robbed. Not only were they robbed of some of their personal belongings, but they were also robbed of their peace of mind, which makes it challenging for them to view things in their home in the same way. However, it is important for you to carry this task out, sooner rather than later. This is because some of the next few emergency steps are contingent on you being able to properly assess the state of things around you. 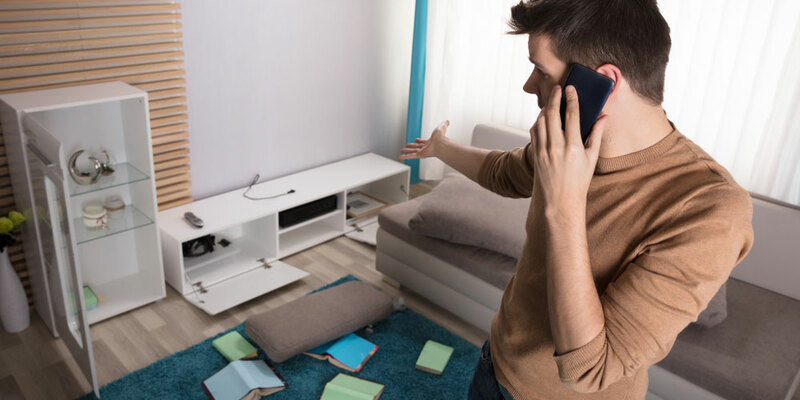 After you have taken stock of your belongings and determined what is intact, and what is either damaged or missing, you should reach out to your insurance agent or insurance company and notify them of the break-in. Homeowners are often required to have some form of homeowners insurance before they can even be approved for a mortgage, so there should be an insurance agent that you can reach out to in regards to your home break-in. Things might be a little different with apartments and renters, who are often advised to get their own insurance, even though it is not required. Calling your insurer requires the same level of dedication and attention to detail that is exhibited when you are taking stock of your property. Even if the burglary occurs late at night, you should still make an effort to call your insurer and leave them a message so that they can get back to you the very next day. You will have to provide your insurer with a detailed and comprehensive list of all the items on your property. In addition to this, you will have to present a second list that details everything that was either stolen or damaged during the home burglary. The information that you provide your insurance agent will be important when you file a claim after the home burglary. Another benefit of calling the police is that you will be able to take advantage of their comprehensive police report. Not only does this make it easier for your insurer to verify information about the incident, but it makes it easier for you to remember details you may have forgotten in your account. Some homeowners might be quick to dismiss this as an emergency step, but I would like to advise them to keep an open mind and read on to see why this is an important emergency step to take after a home burglary. Home break-ins and burglaries are rarely clean and neat affairs, especially if there are robust security protocols that are guarding your home. It is more likely the case that your window might be broken (unless you have burglar proof windows), or that your door may be kicked down. Violent entry often causes damage to integral parts of your homes core structure, like your door locks and the door itself. Unfortunately for most homeowners, although the police will come and assess the crime scene, everything else that occurs afterward falls squarely on your shoulders. This means that in the wake of your home being broken into, you will have to take the time to clean up any damage that occurred. Successfully cleaning up will help you get a clearer sense of how things stand in your home. It should be noted that this can only be done after the crime scene has effectively cleared by the police. This is important because you cannot clean up an active crime scene lest you hamper the investigation. 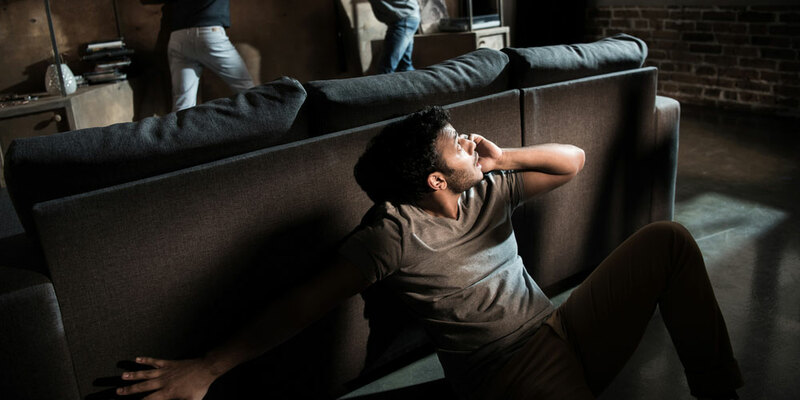 In addition to contacting the authorities and letting them know about the home burglary, one of the most important emergency steps homeowners have to take in the wake of a break-in is taking the time to reassess their security measures. This is an important and integral step that will come to define the future of your safety and home security. It should go without saying that having someone break into your home means that some aspect of your home security needs to be readdressed. 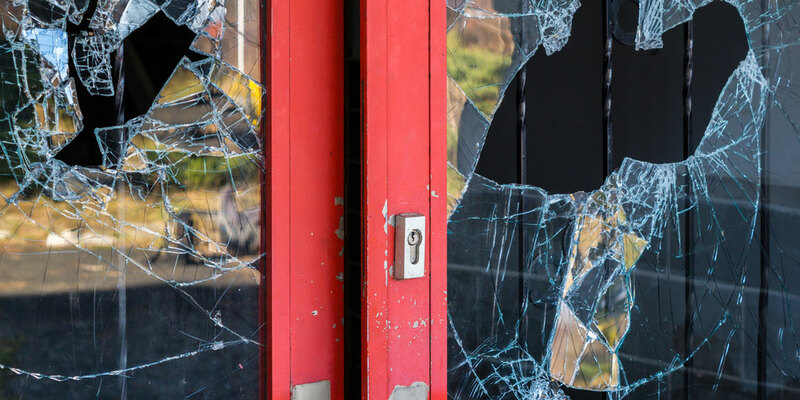 It could be that you never really had a robust form of security in the first place, which means that this break-in is a call to action more than anything else. Homeowners should tackle this security assessment immediately after the home burglary, once you have been given the all clear by officers (if you haven’t called them by now you really should). The point of this is, essentially, to ensure that you can identify all the flaws that are currently in your home security, and speedily work to repair the ones that cannot be left for another day. For instance, if your door locks happened to be damaged during the burglary, this is not something that you can leave for another time. Doing so will leave your security even more vulnerable than it was at the time of the break-in, and this is something you simply cannot afford to do. If the burglary occurs after hours, don’t think that you cannot get the assistance you need because it is too late. This is why 24-Hour locksmiths exist, to help customers who need service at all hours of the day. This final emergency step needs to be carried out in two stages. The first stage will be handled immediately after the home burglary, and the second stage will gradually be executed over time. This is the ideal way to handle repairing any damaged security precautions as well as implementing new ones. However, the ideal way does not mean it is the only way. If homeowners would like to repair damaged security precautions and implement new ones simultaneously, they can definitely do so. If the step above had been carried out, then homeowners should undoubtedly know which areas of their security were left damaged by the home burglary. For instance, if your door was kicked in by burglars, you will likely need to have new door locks installed, as well as a new door installed if it was also damaged in the process. This gives homeowners the chance to install higher security door locks, and also work on improving their front door security. Calling an emergency locksmith to handle your door lock repairs, or to install a new secure lock should be your priority if your door locks were compromised during the break-in. It is not always the case that your door locks will be the only thing damaged. Based on the method of entry these burglars utilized, your sliding glass doors and their accompanying door locks could have been damaged, as well as your windows. Also, if the burglar(s) entered your home without damaging any of your security deterrents, it is often a sign that you should immediately implement new ones that negate the flaws present in the other deterrents. I deeply sympathize with those of you who have been victims of home break-ins and home burglaries. I also sympathize with those of you who haven’t been through a harrowing experience like this yet, because the truth is it can happen to anyone of us. However, being armed with the knowledge that it can happen to anyone shouldn’t feel you with dread, instead, it should give you a determination that drives you to keep your home prepared and ready at all costs. Fortify your home as if you are preparing for the end of days and it will be nearly impossible for a burglar to compromise your security and your safety.